After completing our studies, choosing an aim to get succeed in our lives is very important. But before you determine the aim, you must analyze whether you are able to fit in it or not! A similar insight can also be seen when you choose to fight a competitive exam as your aim. So, if you want to apply for SSC CPO 2018 Exam, you should first check out the SSC CPO Eligibility 2018 before applying. Grab the best exam preparation strategy with Eduncle’s Online Test Series for SSC CPO 2018 Exam! Subscribe Now! Now let’s look upon the Delhi Police SI eligibility criteria including nationality, age limit, educational qualifications, Delhi Police SI physical test details, medical standards etc. set for all the above-mentioned posts. You must read all the details very carefully before applying SSC CPO Online. The Staff Selection Commission has some norms for the nationality of the candidate. You should also check if you come under those categories or not. A person from Indian Origin migrated from Pakistan, Burma, Sri Lanka, East African Countries of Kenya, Uganda, the United Republic of Tanzania (Formerly Tanganyika and Zanzibar), Zambia, Malawi, Zaire, Ethiopia and Vietnam with the intention of permanently settling in India. You should also have to meet some criteria set by the Staff Selection Commission regarding the educational qualification of the candidates appearing for SSC CPO exam. Aspirants must have a Graduation Degree/ Bachelor’s Degree from a recognized university or equivalent. Degrees obtained by the candidates through Universities/ Distance Education should be recognized by Distance Education Council, IGNOU. Candidates will be eligible they are able to prove by documentary evidence that their result was declared on or before the cut-off date and they have passed the exam. For the post of Sub-Inspector in Delhi Police the Male candidates must carry their valid driving licence for LMV (Motor Cycle and Car) on the day of Physical Endurance and Standard Tests. The candidate should acquire the educational qualification as on 1st August 2018. Staff Selection Commission has set some SSC CPO physical eligibility for CPO aspirants that are known as Physical Standard Test (PST) and Physical Endurance Test (PET). Hill Area includes Garhwal, Kumaon, Himachal Pradesh, Gorkhas, Dogras, Marathas, Kashmir Valley, Leh & Ladakh regions of J&K, North-Eastern States and Sikkim. There are no “Chest Criteria” for female candidates. Physical Endurance Test (PET) is of qualifying nature. No marks will be calculated for this. Candidates coming under Ex-Servicemen category are not required to undergo for PET. Female candidates, who are pregnant will be rejected for PET. The candidates, who qualify PET, will have to undergo Medical Examination by the Medical Officer of the CAPFs/ Medical Officer or Assistant Surgeon belonging to Grade I of any Central/State Govt. Hospital or Dispensary. A few medical standards are also set for the SSC CPO aspirants. After qualifying the Physical Endurance Test (PET) and Paper 2, the candidates are called for Medical Examination. After declaring fit by the Medical Officer, the candidates can qualify this phase. They must not have knock knee, flat foot, varicose vein or squint in eyes. They should possess high colour vision. They must be in good mental and physical condition. They should be free from any physical defect. SSC CPO SI Delhi Police Result 2017 Results- Check here! Have you got answers to your queries related to SSC CPO eligibility criteria 2018? If yes, then please share this article with your friends and make them aware regarding the eligibility conditions for CPO exams. In case you are still having any query or doubt, you are free to ask them here. You can drop your queries in the comment section below. We will solve them at the earliest. Download Now!! 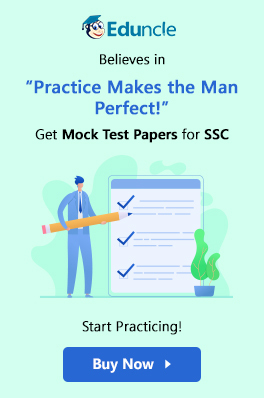 3 SSC CPO Exam Prep Essentials – Syllabus PDF, Previous Year Papers and Test Series for Practice. BONUS Study Concepts on Enrollment! To explore more at Eduncle and get daily updates on SSC and Banking exams, you can stay connected with us via Facebook and YouTube. i have a root canal treated teeth. Will i be eligible for appearing this exam ? hello sir, i justly passout 12th with pcm and adissional bio.. can i apply for sub inspector or assistant sub inspector..
Sir, i have burn mark on my back...less than one third of back...since i was 1 year old ...i was burnt ...if there is any type of difficulty in physical or medical examination...? Sir I am SC candidate not ST My height 167 cm. Am i eligible? Hello sir, I have an eye sight of 1.35 and 1.75 cylindrical no. Can you please tell am I medically able to pass eye test. Or can you tell what is the eyesight criterion correction with glasses? Sir I wanna know when will be the medical of SSC CPO 2017..do you have any knowledge about when the SSC is going to conduct The medical examination..? ?